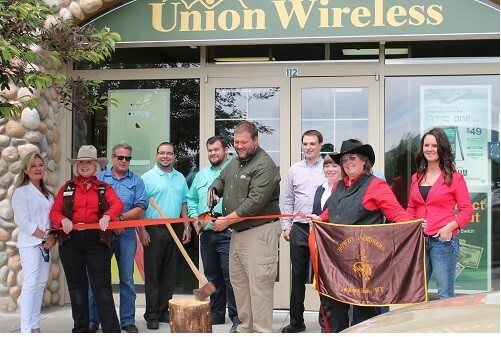 June 22, 2014 - Union Wireless celebrated the grand opening of their new retail store location in Jackson at Smith's Plaza, 1325 South Highway 89, Suite 112 on Saturday, June 21st. A ribbon cutting by Brian Woody, Chief Customer Relations Officer of Union Wireless and members of the Jackson Chamber of Commerce took place on Friday, June 20th at 2:00pm. Grand opening festivities included free food, drinks and a very special one-day only in-store promotion featuring a free Google Chromebook laptop for new customers who sign up for service. “Beginning on Monday, June 23rd, we will be giving away free Bluetooth hands-free headsets as part of the grand opening festivities,” noted Woody.